You know those books that you’re just unsure of? 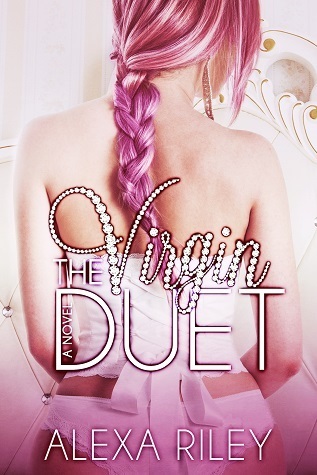 The Virgin Duet was one of those for me. I have gone back and forth for the last three days on if I even wanted to review it or not. I decided to go ahead and do so, but it’s not going to be a full review, or even a long one for that matter. This book is told from an alternating first-person point-of-view between the main characters. I was honestly drawn in by the pink hair and the book cover with all the diamonds. When I first started reading it, I was actually chuckling. The situation made me laugh, and then I slowly started to cringe.. and by mid-way through the book I just flat out felt like it was awkward to read. I was really having second thoughts and almost DNF it. There ended up, for me, being some unbelievable plots twists and hooks in this book that just made me shake my head. I felt like if the author was going to use them, there could have been a smoother transition, or a lead up to them. Not just.. bam, out of no where. As for the MC’s, you do have a completely OCD guy who is older. Bray is obsessive to the point of teeth grinding and then turns into possessive with a side of obsessive and it just doesn’t ring of love to me. (Other people may go with it, but I can’t swallow that.) Then you have Becs, who at first I sort of liked, then she ended up being empty headed, no backbone, and a ninny with a side of “I’m really slutty.” thrown in. It even reads really slutty to me, and although they try to back it up with stuff, it just again, doesn’t read out. I had a really hard time rating this book. I’ve swung between a three and a one, and finally decided to settle on a two. The story was okay, I did finish the book.. would I recommend it or reread it? Nope. As per usual, there are a lot of people who did like this book, but for me, it’s just a no go.